The danger Injectable Vitamin C Gratuitous - The body needs vitamin C, among others, to boost immunity. Therefore, many people are now trying to get the vitamin C through injecting vitamin supplements or vitamins. High-dose injections of vitamin C also claimed to beautify the skin. But you should be careful to offer injections of vitamin C because vitamin C is usually used synthesis. Various studies also said that high doses of vitamin C will prevent disease. According to doctors Fiastuti Witjaksono, Sp.GK of the Faculty of Medicine, University of Indonesia, injections of vitamin C should be performed by a physician. Injecting the wrong can result in damage to body tissues around the injection site. 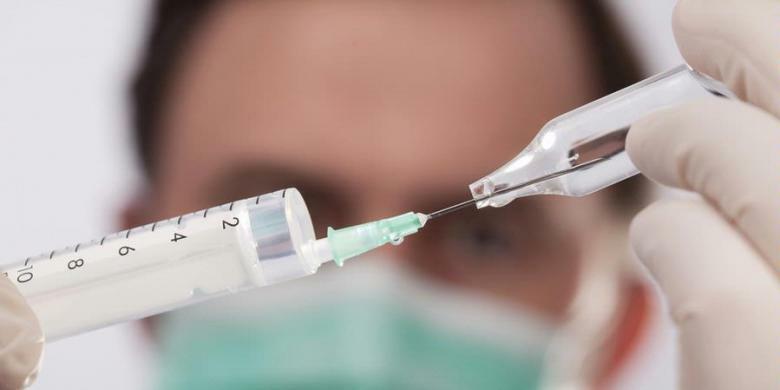 "The danger that one injection, the surrounding tissue will be damaged. Bruises was a sign of damaged tissues," he said in a media gathering held by Zespri Kiwifruit, on Monday (02/06/2014) in Jakarta. Moreover, according to him, injections of high doses of vitamin C will actually not benefit too much. Excessive vitamin C is not needed and would be discarded by the body. "So it's useless if consumed in large quantities at a time, for example, 500 or 1,000 milligrams, although the body only needs about 75 mg. Remainder will be excreted through the urine," said faculty of the School of Medicine's Department of Nutritional Sciences. Excessive consumption of vitamin C, he added, also trigger kidney stones. So it is suggested that the consumption of vitamin C obtained from foods, such as fruits. Known, the consumption of enough vitamin C has many benefits, among others, as an antioxidant, a cofactor of collagen formation and various hormones, boost the immune system, to prevent various diseases.